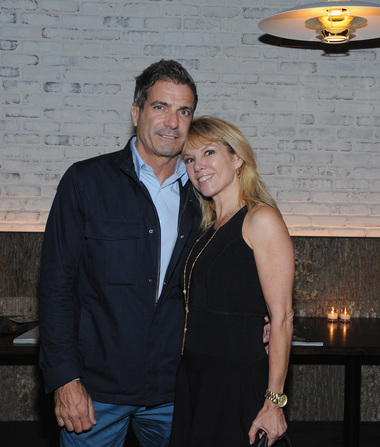 “Real Housewives of New York” star Ramona Singer is giving up on her marriage to Mario Singer. The 57-year-old reality TV star initially filed for divorce in January after her husband of 22 years was reportedly caught with another woman in the Singers' Hamptons home. The couple then seemingly reconciled months later. In April, Ramona tweeted a happy photo of the duo, which she captioned "What doesn't kill you makes you stronger." This past weekend, however, Mario and alleged mistress Kasey Dexter were snapped brunching at NYC’s Anassa Taverna on Saturday, according to In Touch magazine. While on Andy Cohen’s show “Watch What Happens Live,” Ramona got testy with Cohen when he asked about her about Mario. "Everyone in my family is doing well," Singer said sharply, declining to comment further because of her daughter. "Mario and I are together... let's go to someone else. Thanks, Andy."